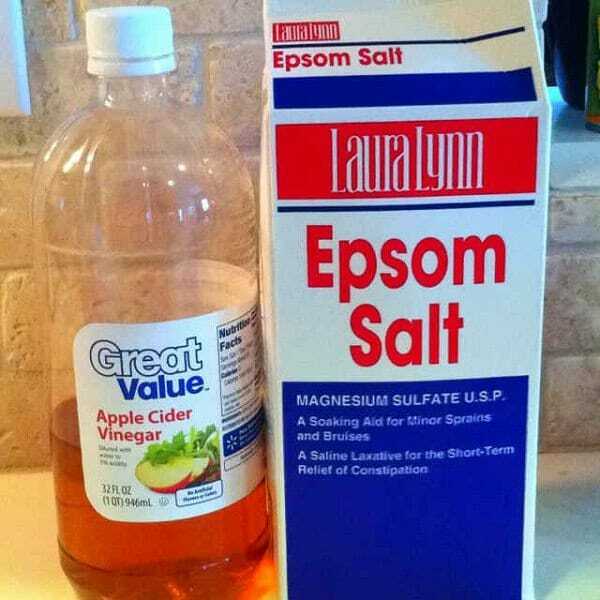 10 DIY Rose Fertilizer & Remedies Available In Your Kitchen & You Never Knew They Exist! Love growing Roses? 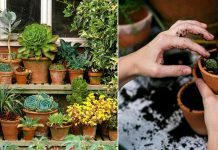 Learn about the 10 DIY Rose Fertilizer and Remedies available in your kitchen that you can use to have healthy Rose plants! As Roses love the Tannic acid that naturally occurs in Tea leaves. It’s a great idea to use used tea leaves or tea bags to fertilize your Roses. Tea leaves also make the soil porous and create a favorable environment for the growth of Rose bushes. 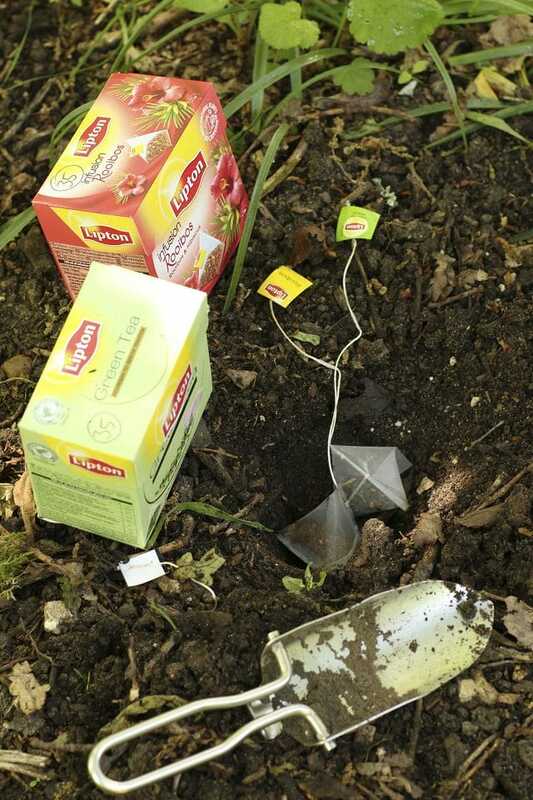 Learn about 7 more amazing Used Tea Bags Uses here! 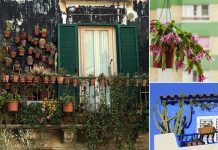 Excellent source of calcium, eggshells acts to strengthen the walls of plants’ cell and help them in resisting the entry of pathogens. Besides promoting plant vigor in general, calcium maintains healthy foliage in rose plants, and strengthens their root systems as well, allowing them to uptake more nutrients from the soil. While the application of egg shells may not stave off diseases like black spots, it can definitely keep your roses healthy enough to make them less susceptible to the same. 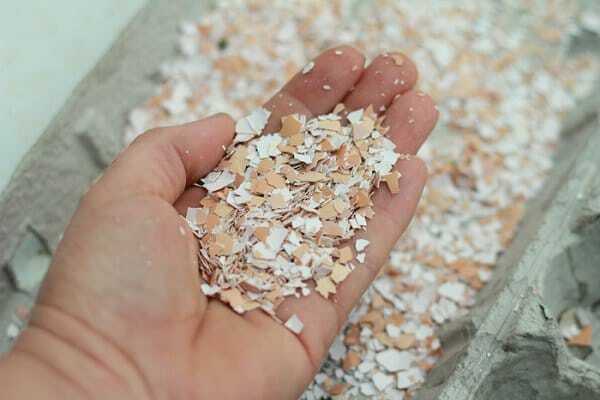 Crush a few egg shells and put them around the base of your rose plants, or add them before planting. Learn more here! Ripe banana peels are a useful addition to your rose fertilizing regimen. Roses love potassium and banana skins consist this mineral. 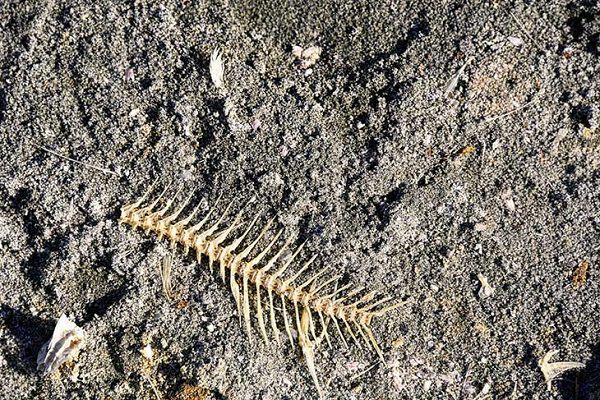 And since they decompose easily, they rapidly release valuable minerals such as sulfur, calcium, potassium, magnesium, as well as trace elements into the soil. Grind them into a smooth paste and apply this around your rose bushes. 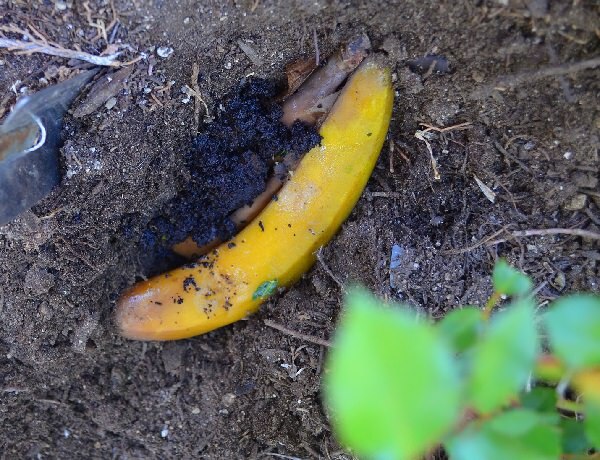 Learn other alternative ways to use banana peels as fertilizer here! Both white vinegar and apple cider vinegar work to lower the pH of the soil and thus boost the growth of Acidophilic plants like roses. Just keep in mind, that vinegar lacks nutrients and adding it alone regularly in large amounts can have harmful effects on your plants. Here’s a DIY Rose Fertilizer recipe to follow! You know that bones are rich in vitamins and minerals, right? So, fish bones are no exception. You can sort them out when you cook fish the next time, and grind them up thoroughly for sprinkling around the rose bushes. Or, you can bury them into the tilled soil near the roses. Over time, they will break down, adding nutrients to the soil and helping your precious rose plants to grow. Learn more here! 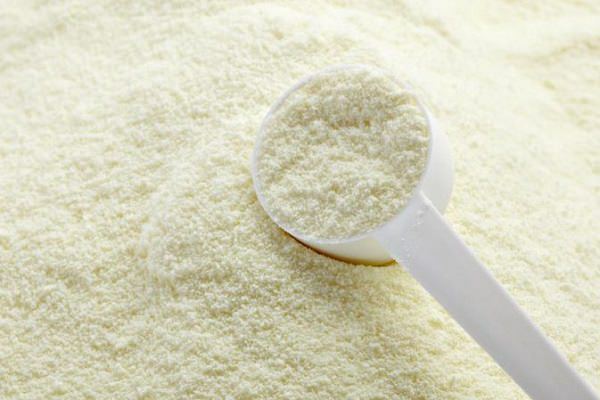 Powdered milk is not just suitable for human consumption but also for Rose plants. 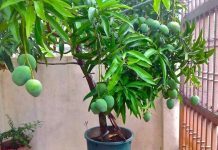 It’s a rich source of calcium and hence promotes root and foliage growth. Some scientific studies have even indicated the efficiency of milk in reducing unsightly black spots and staving off powdery mildew by changing the pH of the area and making it hostile for fungal growth. Mix two parts of water and one part milk and spray the mixture bi-weekly for optimal results. Must read our article on Milk Uses in the Garden to learn more! 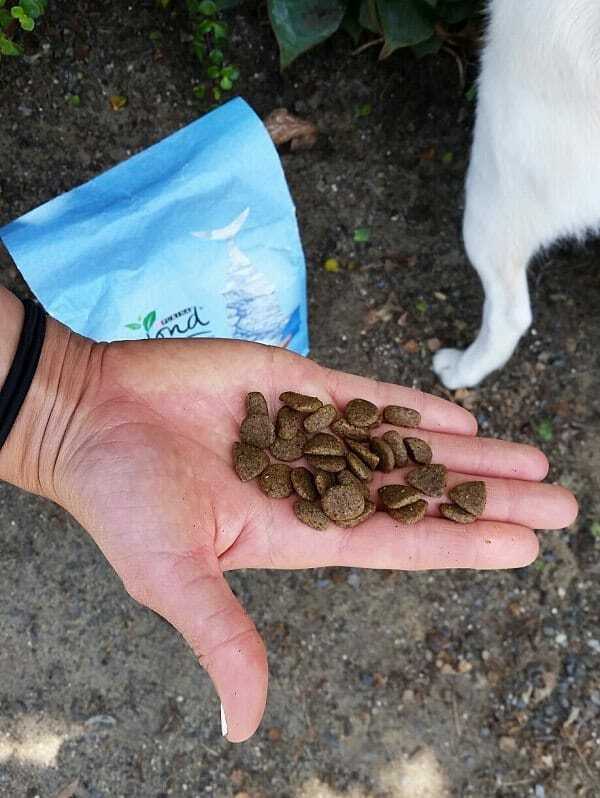 Pet food doesn’t quite fit the definition of organic fertilizer, but it’s still not expensive and good enough to do the job, especially if the product is expiring or stale. It contains a wide spectrum of proteins and micronutrients that benefit the soil and your rose plants. After preparing your garden for planting, spray some dry dog food on the bed. Then mix it up with some water and soil, and allow it to decompose naturally. If needed, cover it up with cardboard to protect the food from being eaten by animals. And make sure the cardboard stays wet all day. Learn more here! 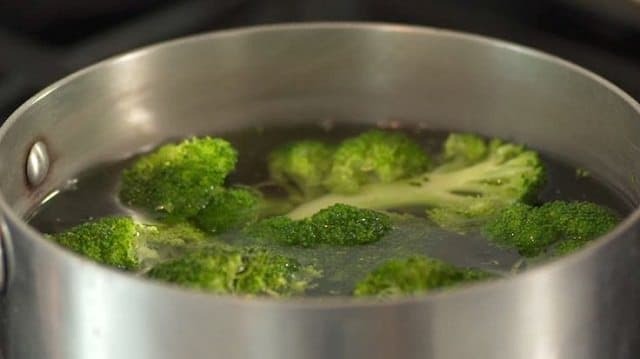 Instead of throwing vegetable cooking water you’ve in your kitchen, use it to fertilize your Roses and other garden plants. Let the water cool, and then use it to give a garden plant or two a healthful drink. But take note: When you cook any of the following, do not add salt to the water because salt is harmful to plants. Learn more on Reader’s Digest! Baking soda is available in every kitchen. And do you know it can be useful for your Rose bushes? You can use it to treat black spots and mildew. Here’re a few remedies that use baking soda as an ingredient to cure black spots. 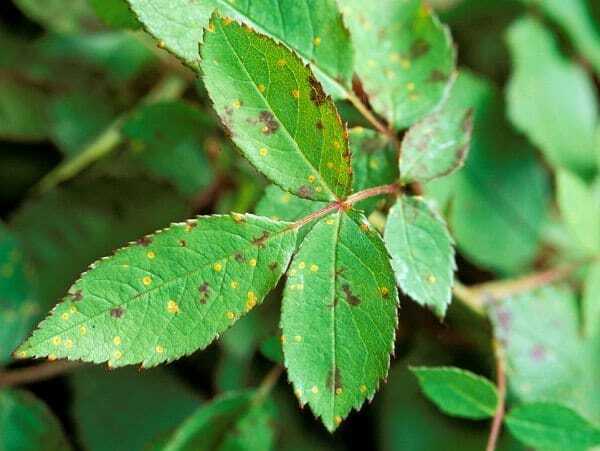 To prevent mildew and other fungal diseases on Roses– Mix 1 teaspoon baking soda and a few drops of liquid soap in 1 liter of water and spray the solution on the infected plants. Not a fertilizer recipe but a remedy to help your Rose bushes. Dish soap kills aphids by destroying their protective waxy cover and leaving them vulnerable to the effects of weather. 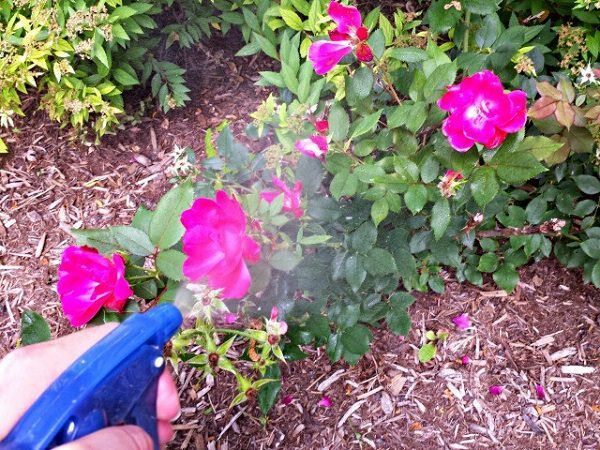 As a result, it can be used to create a scented shield that will prevent these harmful pests from swarming around your Rose bushes during the growing season. Learn more here!